A bedside table can help make or break a bedroom. I often like to mix & match. However, when you find something really fabulous, I say go for two! Take these fabulous options by Hickory Chair for example. The first one is their reed & ribbon chest. It’s just stunning. 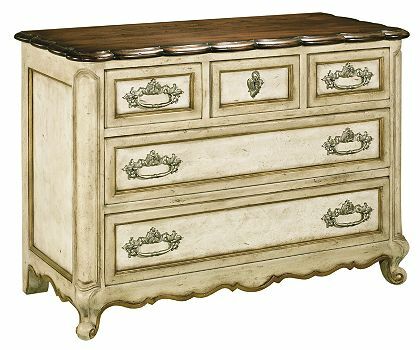 Hickory Chair offers this piece in a variety of wood & hand painted finishes. 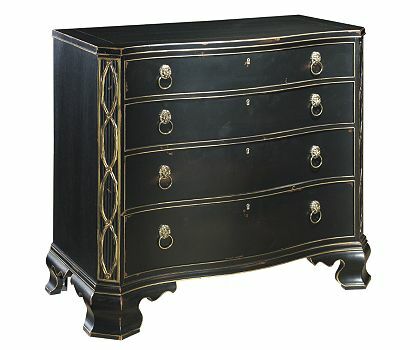 The second is the Normandy chest. I love the scallopped top & antique feel. I’m getting ready to show these to a client as options on either side of an iron bed for a guest bedroom. I’m specifying a parchment finish with gold leaf detailing. SO excited to see which one they pick & how it turns out! I will keep you posted. Hickory Chair is available at IBB Design Furniture Showroom. Contact an IBB designer for details.